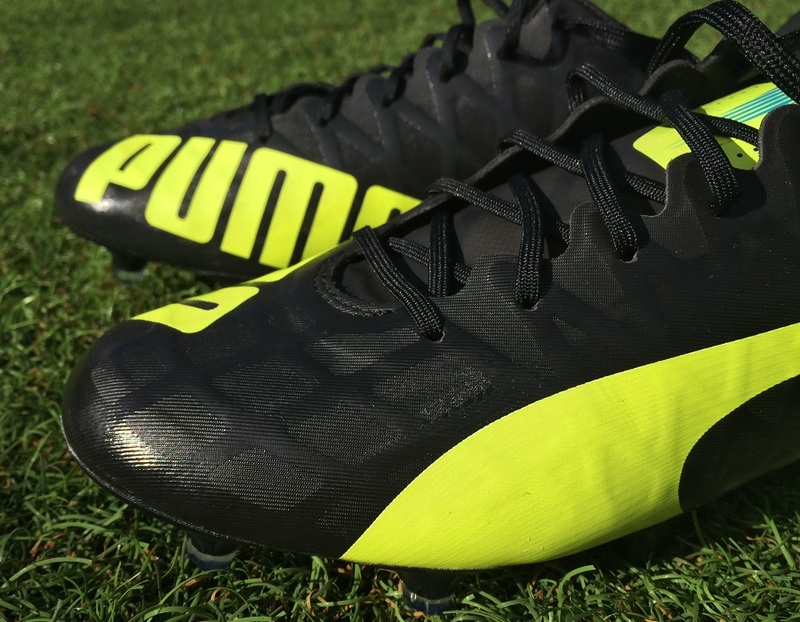 In their attempt to conquer the lightweight market, Puma produced a boot that quickly became their PR kingpin in the form of evoSPEED SL. Along with its 3.5oz total weight, it features a 10 game warning label, as in they are only intended to last that many games. 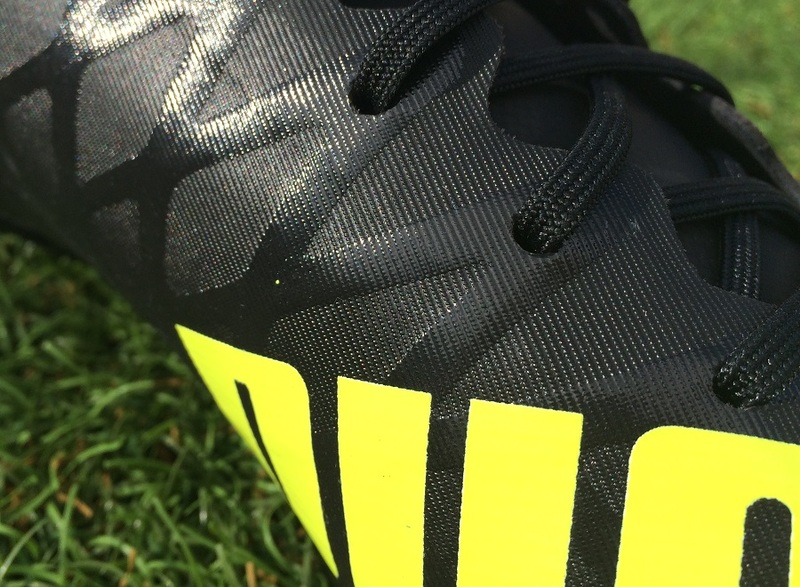 For players, it has become a novelty release; one to try out some day but not a serious season long shoe. Following up on the SL, Puma made a very smart decision by developing and releasing another super lightweight release, only this one is intended to survive much longer! 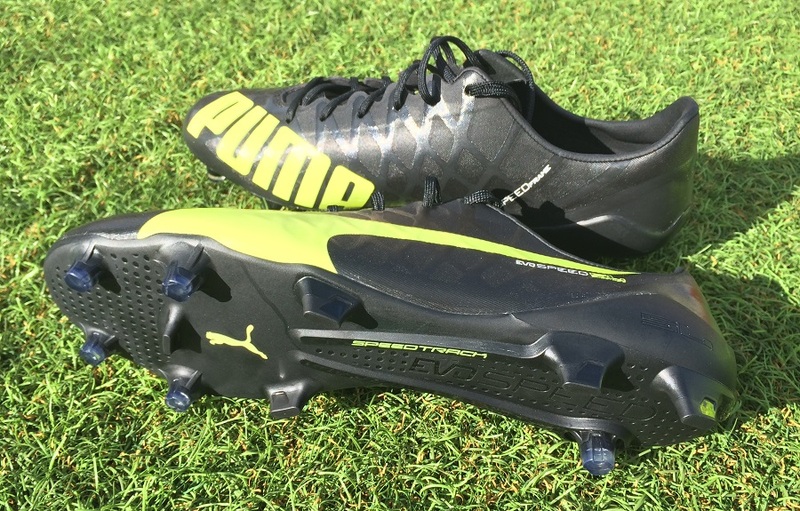 The Puma evoSPEED SL-S is sleek, dynamic, and features a 5.4oz body designed to be an acceleration machine. How does that all play out from a performance perspective? We’ve had a pair in some serious testing for the past few weeks – and here is how it all went down. 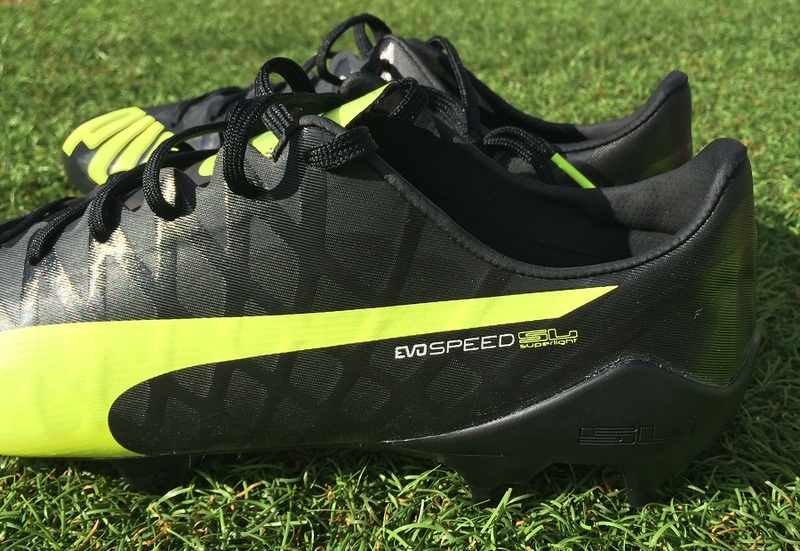 First take, these seem like a very interesting release, combining elements of the 7oz evoSPEED 1.4 and 3.5oz evoSPEED SL. It seems like puma has found their perfect balance of weight and durability with the release of SL-S. Right out of the box, these boots are ready for play. The overall pliability of the materials used makes for a very user friendly final product. You will find out more about the overall composition later in the review, but for now know that there is relative ease in how these boots feel from first wear. In fact, given that they are such a lightweight release, I’ve been impressed with how they feel to wear. No, they are definitely not the most comfortable boot you will wear. But since there isn’t much in the way of actual material right through the upper, the materials Puma has used seem to combine for ultimate effect. For example, the upper cage support system, a monolayer microfiber and an inner suede lining all piece together. And it is the latter (suede lining) that really provides benefits in terms of comfort, as it grips your sock and keeps you locked in place. What makes the SL-S so different to the SL is a new monolayer microfiber upper material, which results in more durability for the everyday player. The evoSPEED SL was introduced by PUMA last summer for “match days and special moments“, whilst the new evoSPEED SL-S is for players that require the ‘lighter than light’ feeling from training right through to game day. When we reference light here, the SL-S weight in at 5.4oz, or just over 150grams. This is more in line with the weight of the leather version than the original SL, but it makes sense that they would need to jump in weight in order to last more than 10 games. Just like the upper of the SL, this boot also features a unique support system that is visually prominent. The one big difference is the fact the SL-S features a monolayer microfiber upper material that is not transparent, thus the focus on durability. Along the upper, you can easily see the support smoother looking black system. It forms the lattice style criss-cross cage that runs from lacing down under the soleplate. To the touch, it has a slightly thicker feel than the surrounding material. That surrounding material exists in the pocket areas, with a very light texturing for added touch. As a layer, you can tell it is extremely thin and one of the areas that gives the boot a lighter composition. The overall feel of the upper is almost like a rubber, as it is slightly stickier than a simple synthetic upper would feel. It doesn’t quite mimic a leather, but it does have that slightly grittier texture that you get from running your fingers across it. On the ball, it does provide a noticeable difference along the outer portion of the forefoot, where you’d play an outside of the foot pass. But, for some reason, Puma has placed text across the inner side, thus taking away any added advantage through the motion of dribbling. On a personal note, I’d have liked the same feel right through the forefoot just to experience how it would impact quick touches. Inside the boot, Puma has gone with a super soft suede-like material and it is a real winner. First, it provides a little extra grip between your sock and the boot. Second, it feels comfortable against your fit. Simple, but very important. So, how does a 5.4oz lightweight, speed boot feel while striking shots? Under the right circumstances, it works out pretty well with the boot not limiting your shot power. You definitely feel impact when looking to drive shots, but it is much better than you’d expect. Where they are not so hot is on occasions where an opposing player manages to get a stud somewhere along your forefoot. You can feel every inch of it! 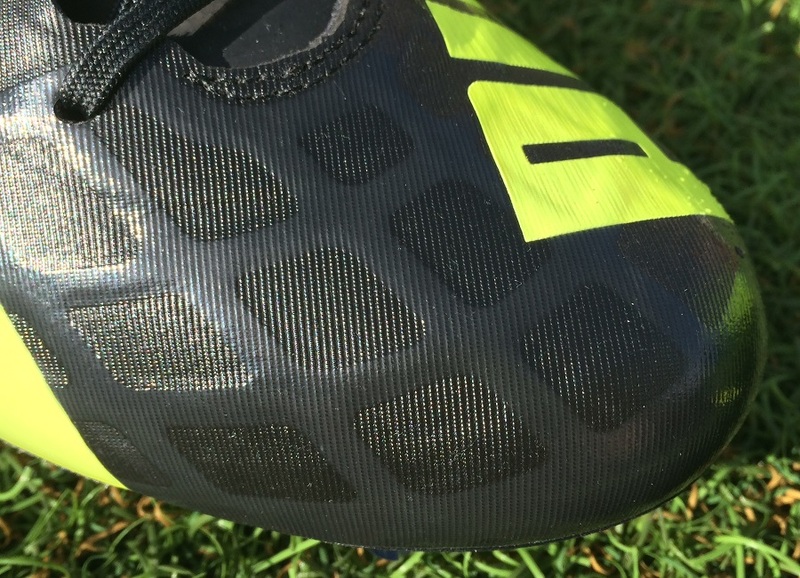 Yes, most players will feel the pain no matter what boot they are in, but with something that is super thin like these, you end up feeling pretty much every hit. 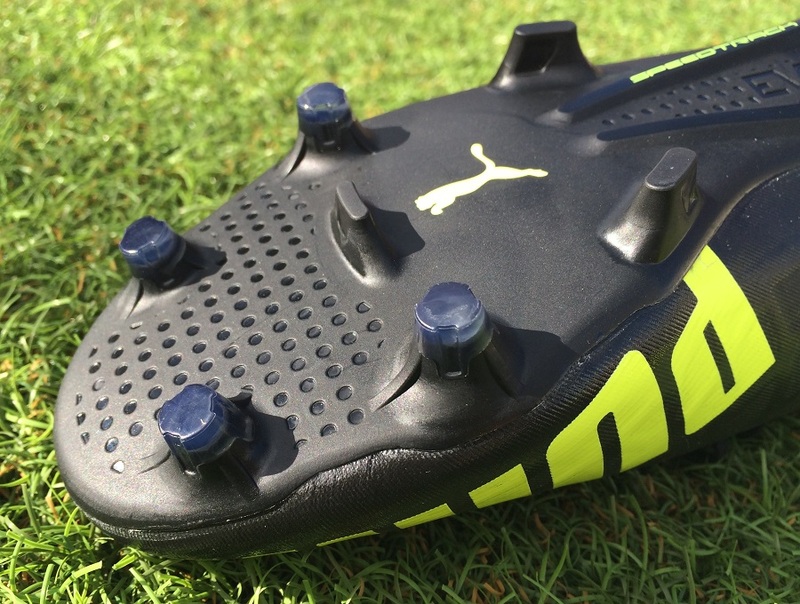 Under foot, Puma sticks with the same soleplate and SpeedTrack system that they have right across the SL range. It is super flexible and features some pretty unique design features. For example, on the heel you will find a tri-stud configuration, with a conical sitting on the inner side and two blades running along the outer edge. The single conical stud features a unique depth profile, with an inside groove surrounding its position. The concept of this style is to reduce material without affecting overall traction. In reality, it doesn’t provide quite as much natural underfoot support as you’d expect. This is related to the fact that the soleplate material is so darn flexible, and the distance between the conical heel stud and forefoot blade is so large. In terms of traction, it doesn’t have any negative implications. But at times, you do get that “oh, I could do with an extra stud there” type feel! To try compensate, there is a spine in place through the midfoot, and it does have benefits. Puma has made it one of the key attributes of SpeedTrack and its role of reducing overall boot weight is vitally important. Back to the soleplate itself for a second. You really can twist and bend it in ANY direction without limitation. I obviously wouldn’t recommend you sit there and bend until it finally snaps, but rest assured that while you are wearing them, they will mimic your foot movement to perfection. Once you have the right size, it almost sticks to your sole. Compared to the SL that would be an absolute yes. The upper is stronger and the general join between it and the soleplate is much improved. But, they are a speed boot with a complete lightweight outfit, which means they are unlikely to be quite as durable as other traditional releases. Will you get a full season out of them? That is up in the air at this point, but from my experience with them over the past few weeks, they should provide plenty of quality wear time. 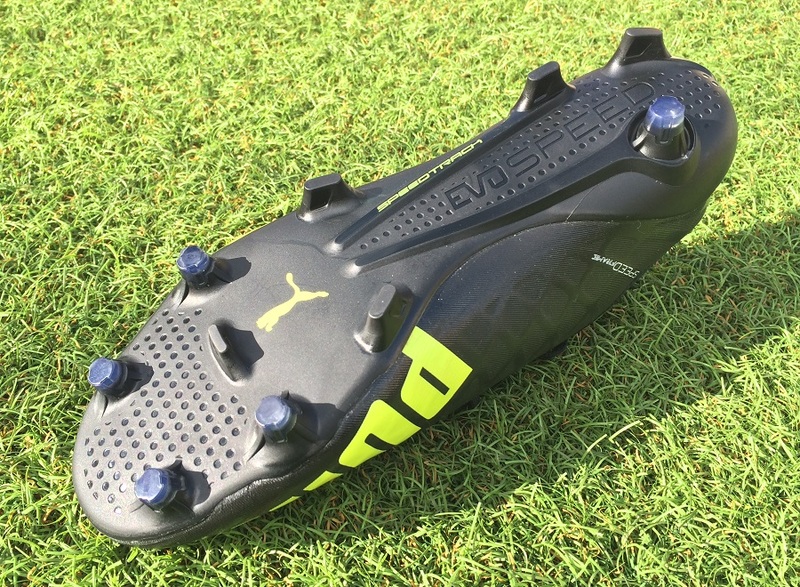 Given that this is your typical Puma speed boot release, you can expect that they will fit snug. But, I wouldn’t receommend changing from your traditional boot size. You can safely pick these up as a true to size option. Where they might prove a challenge is with wide fitting players, as there isn’t a great deal of give in the outer walls – don’t expect the size through the forefoot to stretch through wear. For what they are, Puma has done a nice job with these. If anything, the release of the evoSPEED SL was the perfect boot to lead with before these. That way, focus is placed more toward the improvements in the SL-S and how Puma has created a speed machine that lasts more than 10 games (*note here that pretty much every speed boot other than the SL is intended to last 10 games!) But, a few improvements I’d like to see include a more stationary 4 stud heel design, and a little extra grip composition right along the inner portion of the forefoot, where first touch and control is key. 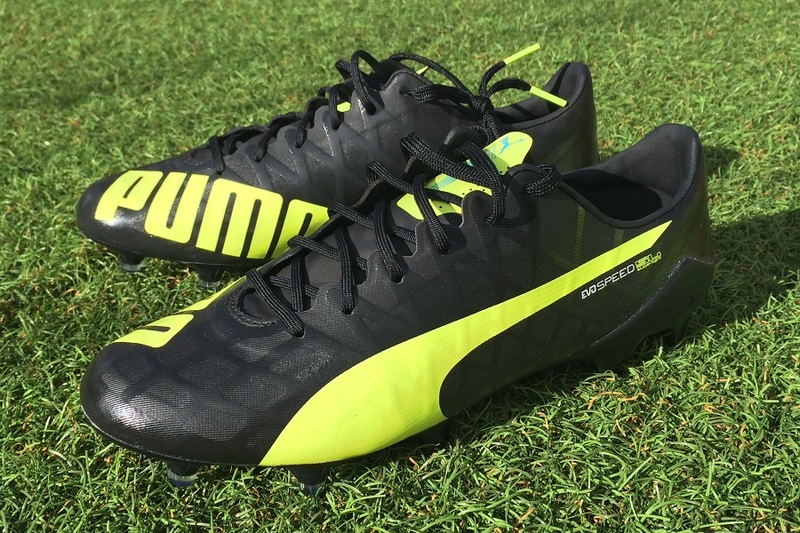 Check out all available Puma evoSPEED SL-S colorways at soccer.com. 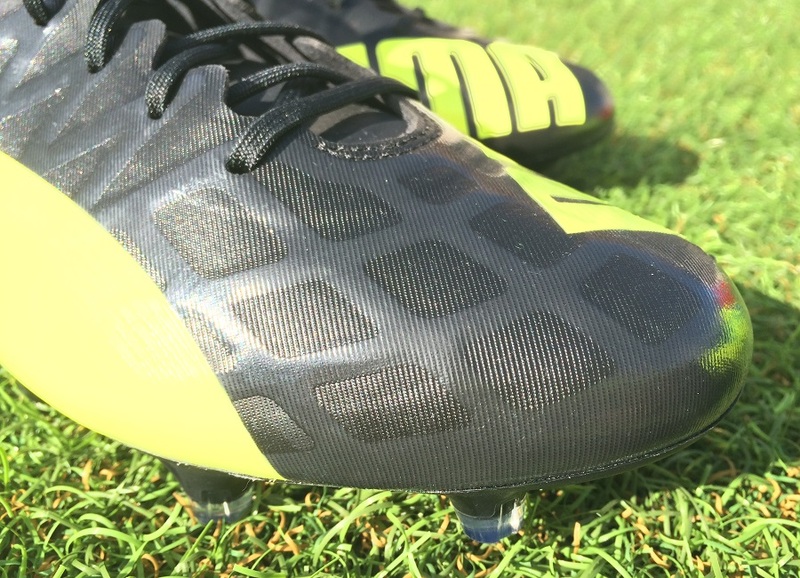 Highlight: One of the lightest boots currently on the market, this one featuring a solid design upper and a soleplate designed for pure acceleration. Would I Buy Them: For me, these are a much better investment than the evoSPEED SL, even if that is a boot that provides one of the most unique attributes you will experience. But, in the speed category they wouldn’t be my #1 overall. Player Position: Wingers, or anyone with an attacking mindset will enjoy what these have on offer. I don’t see them as an option for anyone in the defensive side of the field due to the lack of protection. Do you find any sizing issues with this one? Because I found out when I testing it at my local soccer store, it was half size long.